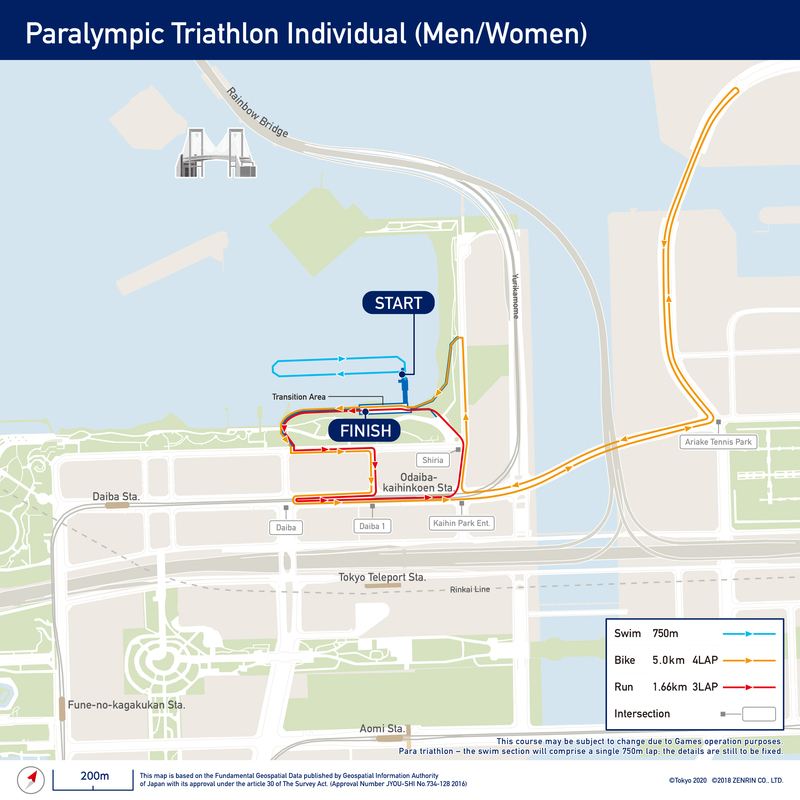 The International Triathlon Union (ITU) and the Tokyo Organising Committee of the Olympic and Paralympic Games (Tokyo 2020) today announced the courses for the Tokyo 2020 individual triathlon, mixed relay and Paratriathlon events. 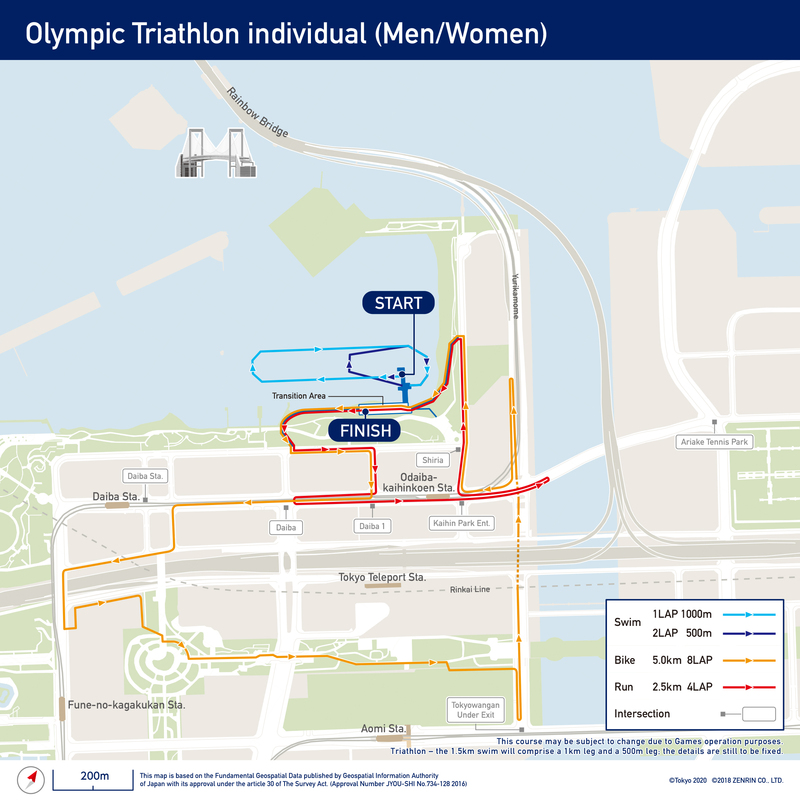 The races will start and finish in Odaiba Marine Park in Tokyo Bay, an urban resort with white sandy beaches overlooked by Tokyo’s high-rise waterfront buildings which has been used as the venue for Japan’s National Triathlon Championships for more than 20 years. Triathlon swimming legs will take place in Odaiba Bay. The bike riding and running courses will wind their way in and around the park, and will incorporate a number of technical features. The course for individual events will also pass through the West Promenade district of Odaiba, featuring waterfalls and greenery. With shopping complexes and other attractions in the area, the races will be sure to draw thousands of spectators along every stretch of the course catching Olympic and Paralympic action and cheering on the athletes in the heart of the city. 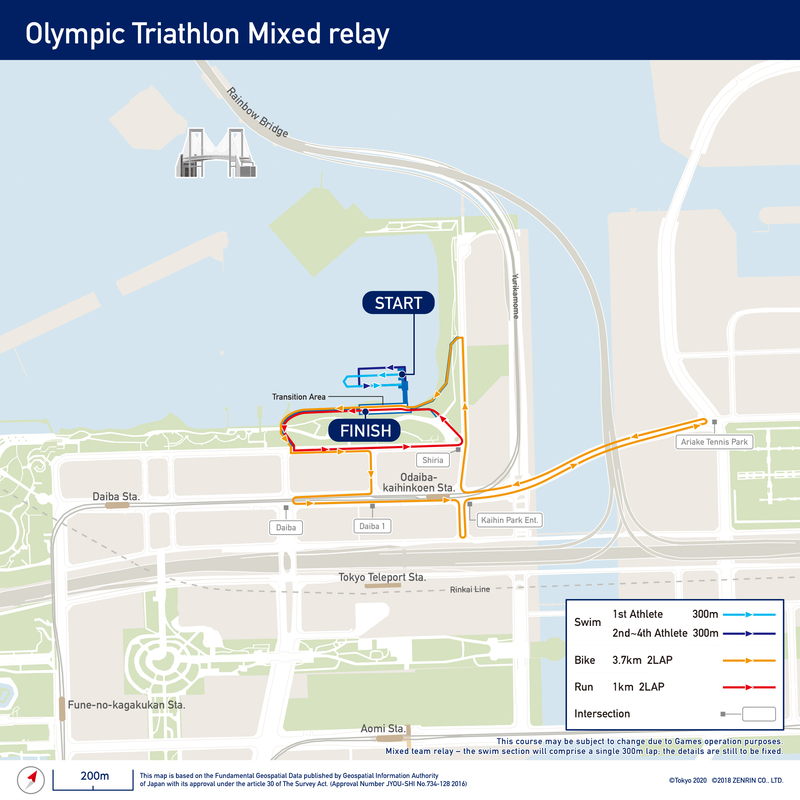 Triathletes will complete the 1.5km swim leg in two laps of Odaiba Marine Park, with the 40km bike section split into eight laps and the 10km run comprising four laps of 2.5km. The mixed relay—added to the Olympic programme for the first time—involves teams of two men and two women completing a short-course triathlon; each team member completes a 300m swim, a 7.4km bike ride and a 2km run before handing off to a teammate to take over. The Paratriathlon will consist of a 750m swim, a 20km bike ride and a 5km run. The men’s Olympic triathlon will take place on 27 July 2020, with the women’s event being staged on the following day. The mixed relay will be staged on “Super Saturday”, 1 August, an action-packed day featuring 23 sports on which a number of medal events are scheduled to be held. The mixed relay, a dynamic event that sees non-stop action until the last second, promotes gender-balance, and fully addresses the IOC’s Olympic Agenda 2020 recommendations in this respect. Triathlete Hirokatsu Tayama, who has competed at every Olympic Games since Athens 2004, commented, “Triathlon is one of the world’s most popular sports; the men’s individual event at previous Games attracted up to 700,000 spectators. When I imagine the cheering crowds at Odaiba Marine Park and along public roads in the city centre, I really envy the athletes who’ll be competing and feeling that excitement. I am sure that the course will be a showcase for the Tokyo 2020 Games, with panoramic views of tourist attractions such as Tokyo Tower, the Rainbow Bridge and Tokyo Skytree.